I have a few non-riding related ideas lined up for writing. It helps in bringing diversity to the posts. 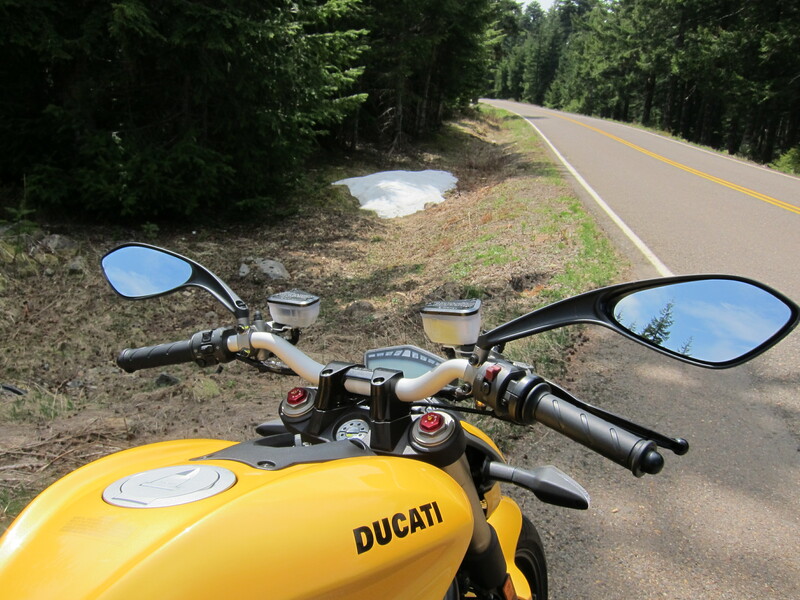 But first, I want to catch up by posting a couple of rides that took place last weekend. 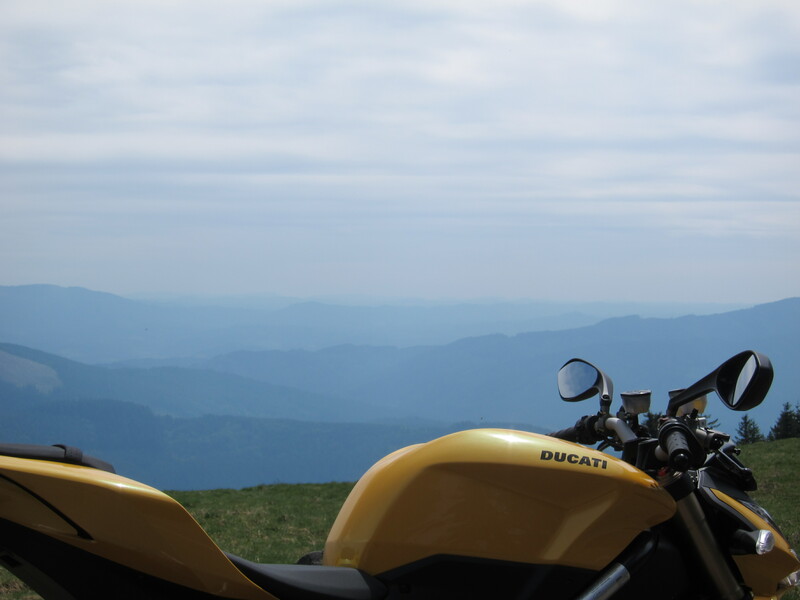 The first one is the ride that happened the day after I arrived from American Samoa when I took the Streetfighter to Mary’s Peak. I was disappointed to see a fine layer of gravel on the middle of each lane. I take it that this road was recently opened and it needs to get more traffic to clean it up. Some parts of the road the surface are showing the signs of many years of traffic and weather. Other sections are looking really good, like the one pictured below. I made it to the top taking it really easy for the combination of gravel on the surface and for keeping the bike under the 6,000 rpm limit. 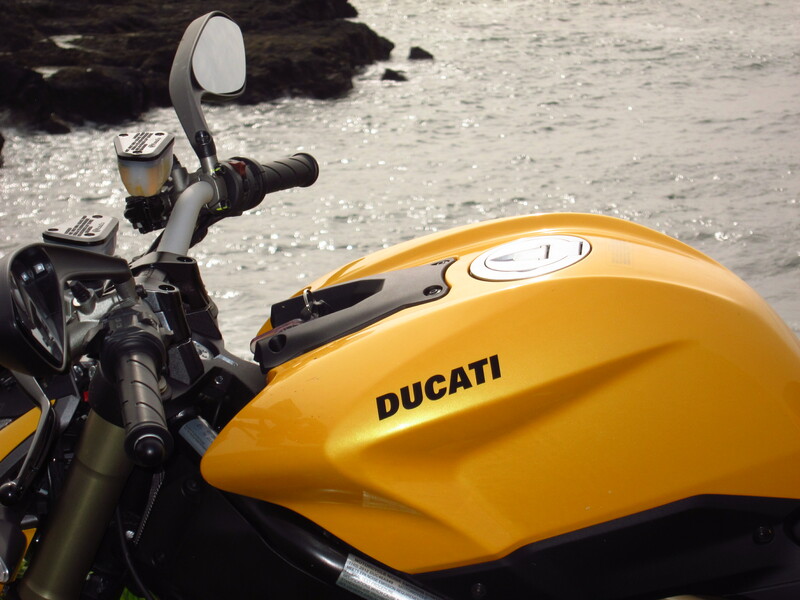 It should be a different ride altogether when you are able to use the full range of RPM on this bike. The way this bike is geared, on the climb to Mary’s peak you can probably stick to second gear all the way up, or for most of it anyway. More on this bike’s gearing later. Once on top, the view was not clear. On a good day, you can see the Cascade range from here. On hazy days like today, this is what you get. This means I will come back here to document the proper view of the Cascades and its snowed peaks. But it was still nice to see the shades of green and blue of mountains and sky from this viewing area of Mary’s Peak road. 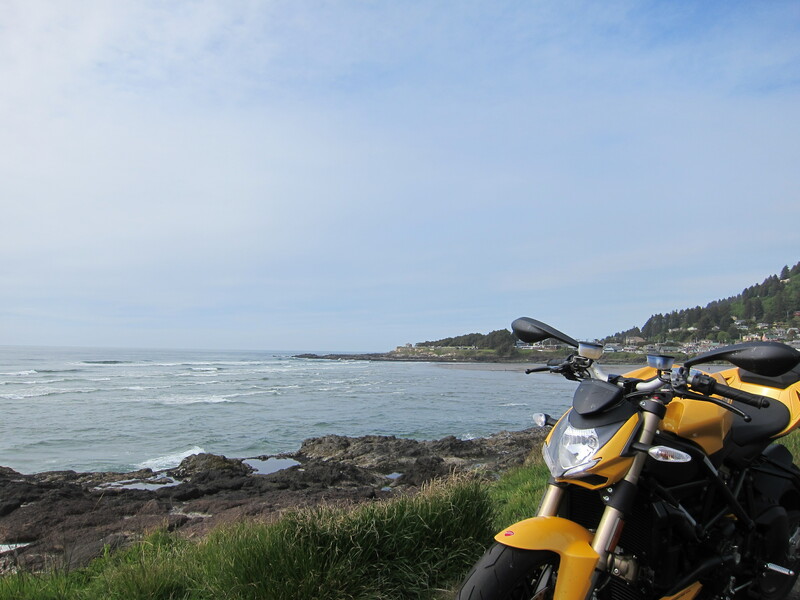 I went down the mountain and took the long way home, via Hwy 101 and the lovely Pacific Ocean. And of course, a bit more of a photo shoot. I promise, I will reduce the amount of pictures I post on this bike. This bike’s color does not show well in photography, but when using the camera’s flash, it brings it closer to what it looks in person. 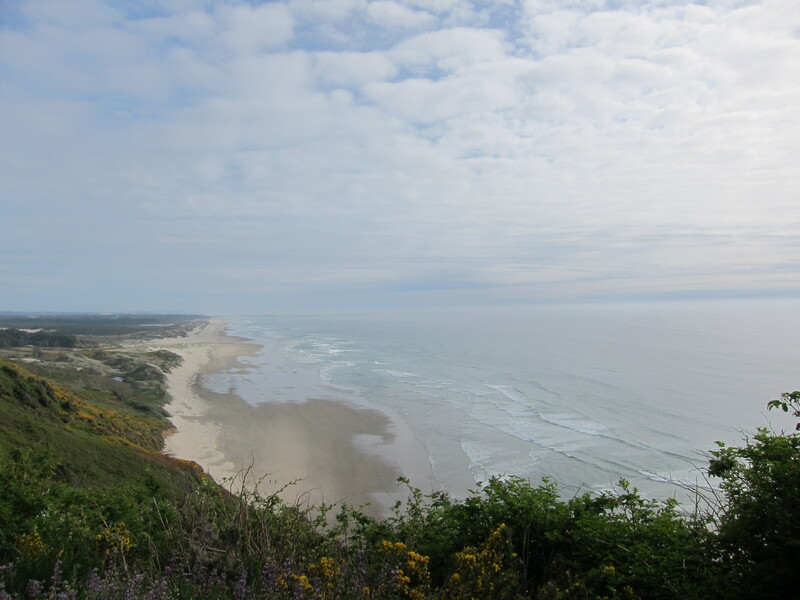 I continued south on Hwy 101, stopped for a final picture of the beautiful Pacific Ocean and this large beach area just north of Florence. And I soon was home. 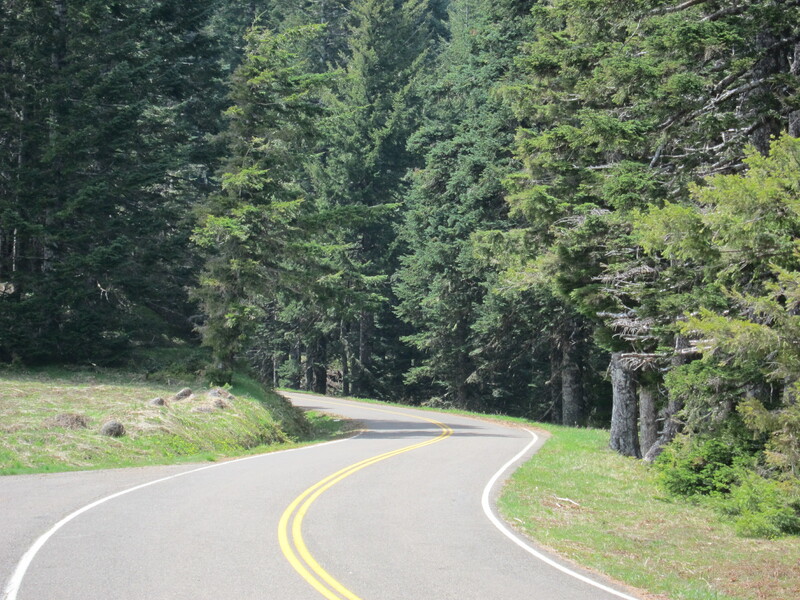 It was a 257 mile version of my loop, thanks to the Mary’s Peak detour. The bike is now ready for its 600 mile service. My final bit of impressions on these first 600 miles is related to this bike’s gearing. This bike has a six-speed gear box that is rather tall. I’ve been using it as a 4-speed bike, as 5th and 6th will require that you ride fast. 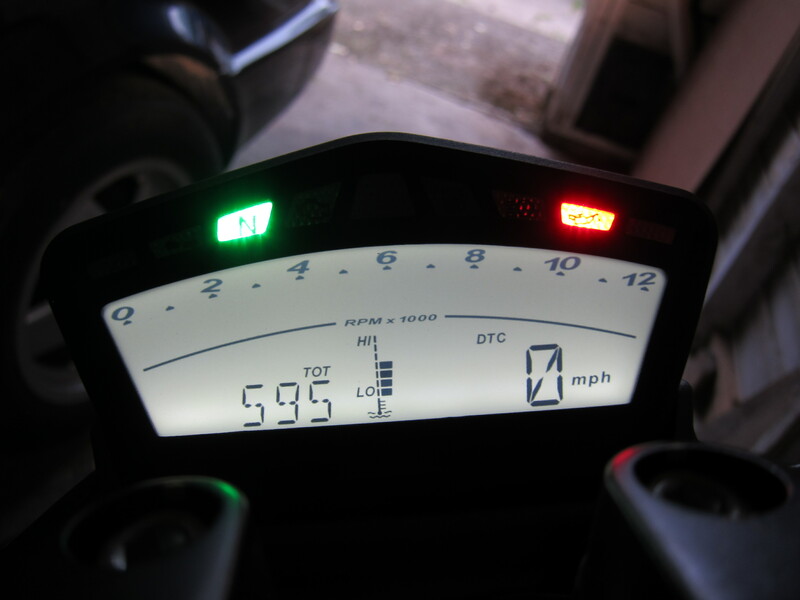 And consider that I haven’t climbed the RPM’s above the 6,000 rpm. I think this bike would benefit from a larger front sprocket, which would bring all gears down to a more useful range, a shorter 1st gear, and more use of 5th and 6th gear at not so high speeds. Something to take in consideration. Other than that, it continues to call my attention. 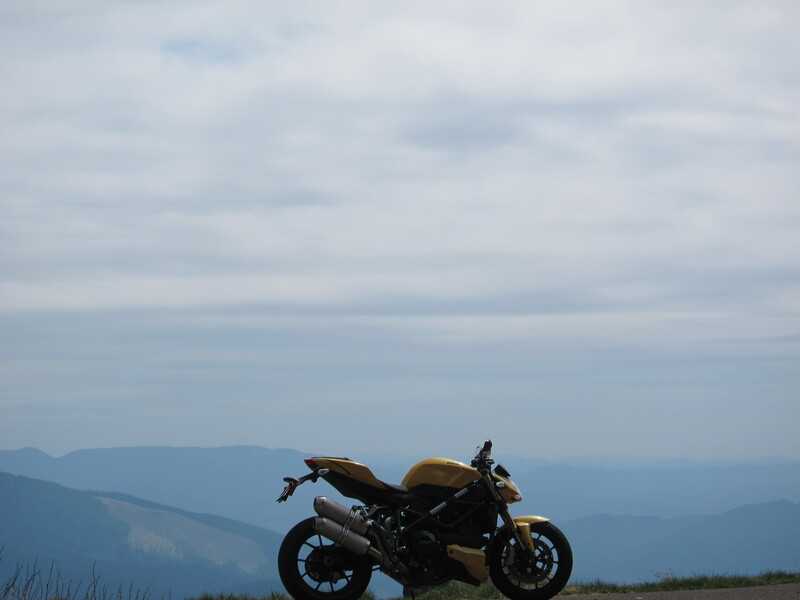 But tomorrow, Sunday May 20th, I will be taking the Tiger for its first ride of the year. 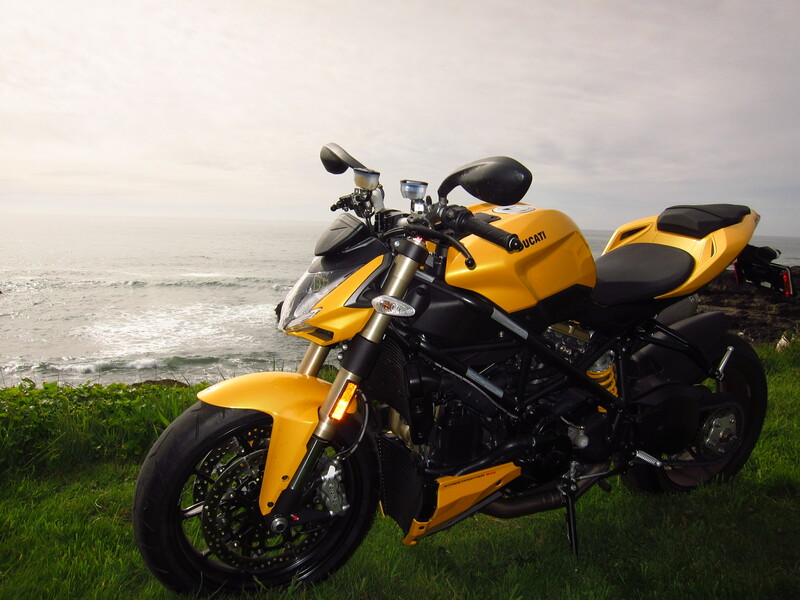 This entry was posted in Riding the Ducati and tagged Ducati, motorcycle, oregon, Streetfighter 848. Bookmark the permalink. That yellow is really striking! I can read between the lines that you can’t wait to release the beast. Yes, it is a waiting game… but the time will come. The time is coming. Congratulations Kyle. It is an awesome machine. Hope you enjoy yours. It will be a bit rough on the first few hundred miles, but soon after it will start smoothing out. And once you are able to use the full range of RPM, then you will really enjoy it.